The colourful money man behind the Onyx team's Formula 1 entry in 1989, Jean-Pierre Van Rossem, has died at the age of 73. 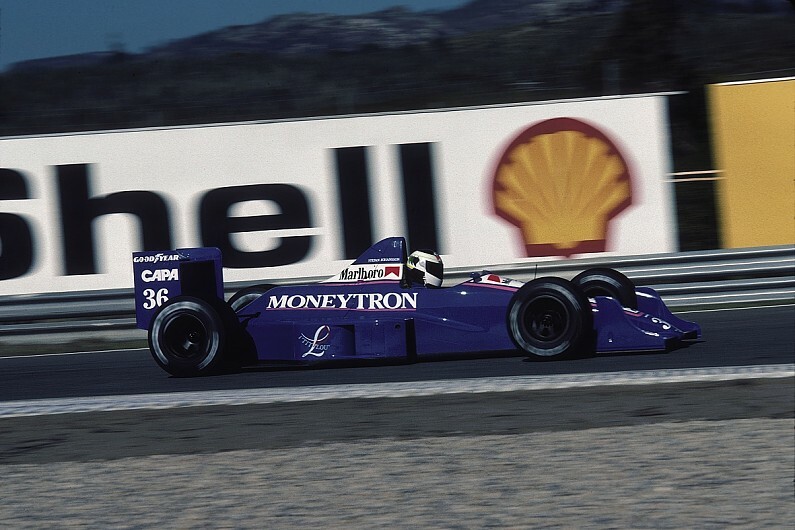 The Belgian, whose death has been announced by the media in his homeland, backed Onyx with his Moneytron investment company for its graduation to F1 from the Formula 3000 ranks with Stefan Johansson and Bertrand Gachot. The sponsorship, which came with Gachot, allowed the team to push on with its planned F1 entry with the Ford Cosworth-engined ORE-1. The Onyx, designed by Alan Jenkins, claimed a first points finish in only its seventh race at Paul Ricard and then a podium at Estoril later in the season - both results with Johansson. Onyx boss Mike Earle described Van Rossem as "an eccentric, but an out-and-out motorsport enthusiast at heart". "It's sad to hear he has died, because without him we probably wouldn't have got to F1," Earle told Autosport. "He was flamboyant and unpredictable, but without doubt highly intelligent and ultimately a nice guy if you sat down with him away from the limelight. "When we got those results with Stefan, he was genuinely over the moon - they definitely meant a lot to him." Van Rossem took a major shareholding in Onyx over the course of the 1989 season and subsequently fell out with the original management over what Earle calls "disagreements concerning the future direction of the team". He carried through with his threat to leave F1 if he failed to land a deal to run Porsche's new V12 engine and sold the team to Swiss carmaker and collector Peter Monteverdi. The team, which moved to Switzerland, limped on through the first half of the 1990 season and pulled its entries after the Hungarian Grand Prix in August. Van Rossem also entered a pair of Ferrari Mondials with ex-Formula 1 world champion Keke Rosberg among the driver line-up at the 1989 Spa 24 Hours. An economist by education, Van Rossem was also variously an author, philosopher and a politician over what he described as a "hectic life". He sat in both the Belgian federal and Flemish parliaments in the 1990s. Van Rossem also spent time in prison, publishing a diary of his experiences after one term, and as recently as last month was handed a custodial sentence for tax fraud. He had been ill for some time, although the cause of death has not been announced, and was campaigning for the right to voluntarily end his life.